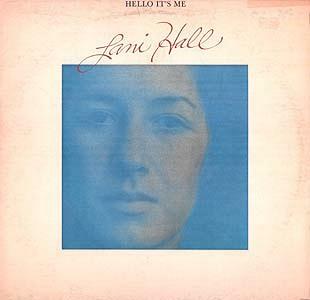 Sharp-eyed TJB fans will recognize many of the above names – virtually the entire second incarnation of the Tijuana Brass back Lani in her second solo album, HELLO, IT’S ME. The album was produced over a two-year period from 1973 to 1975 during the YOU SMILE-THE SONG BEGINS and CONEY ISLAND sessions, hence the appearance of TJB-2. Even one of the songs from YOU SMILE, “Save The Sunlight” is redone here. On the former, Lani sang a duet with Herb, while here she goes it alone. This album is a little more adventurous in the selection of material, ranging from incredibly soft ballads to the frenetic “Corrida De Jangada” where Lani returns to the familiar Portuguese of Edu Lobo’s Brazil. She really does it all on “Sweet Jams And Jellies”, writing the song, singing it, backing herself on piano, and she’s even given credit as a re-mix engineer along with Herb Alpert who also does everything on this album except play trumpet. Outstanding tracks include Chicago’s “Happy Man”, re-titled “Happy Woman”, and Dave Frishberg’s “Wheelers And Dealers”, which Lani performed when guest starring on Herb’s TV special.